Vixen Amber Rose really loves 21 Savage from head to toes. Literally. The hip-hop model has revealed just how deep her feelings for the rapper go. 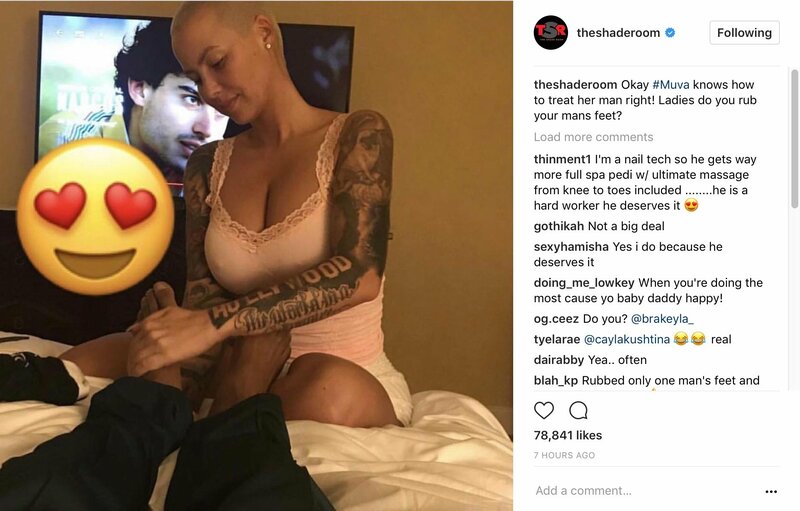 A new pic has gone viral of Muva Rose giving her boyfriend a much-needed foot massage. Recently, a report surfaced on how much Rose alleged paid for a 21 Savage promise ring. Earlier in the week, footage emerged of Amber and 21 Sav’s alleged promise rings. Last weekend, Rose went crazy giddy over her love for Sav.